Plan your schedule weeks in advance. I didn’t plan my sessions until each morning, which led to nervous looking-at-my-phone-while-walking in the morning and searching-for-the-next-session while sitting in another session – both of which is quite distracting. Another important factor: some sessions, especially workshop or hands-on labs, only have a limited number of places available, so you cannot pick these sessions in the MSFT Events app anymore (however, you could still go there and take the place of someone who didn’t show up). The very last day, I realized that there was even a session “plan your week at Ignite” Monday morning…if you can, go there! This was an advice I heard a lot before going to Orlando – and everyone who told me so was definitively right. The convention center(s) is just huuuuuuuge. Oftentimes, we had to walk for 10-15 minutes to get from one session to the next – even getting from one end of the great expo hall to the other is about 5 minutes or at least 500-700 metres. However, there is also a solution for people that don’t like to walk that much: stay in the “Hang Out” and watch sessions on the (very, very, very) big screen or as live stream on your device. Very convenient! Visit the expo early in the week (and more than one time)! The expo is not only sponsors and other vendors, but there’s also a very large Microsoft area where you can meet the product teams and discuss your problems, feature requests, etc. etc. In addition, there is swag everywhere! I only visited the expo at my last day at Ignite – just to see that they had been giving away very cool prizes like headphones or XBOXes every single day! SharePoint 2019 is now generally available (announced at Ignite and just yesterday – check out the announcement). It will include modern team sites, communication sites and OneDrive files on-demand (a feature I love about SharePoint Online) and improvements to make hybrid deployments easier. Very interesting: the integration of PowerApps and Flow (using local data gateways) will also get some new actions and features. The Patterns and Practices team shared a lot of amazing new features to customize SharePoint Online. What I found most exciting from a consultant’s point of view was the ability to deploy complete demos to your (demo/test) tenant by simply allowing an app access to your tenant – no more downloading repos from GitHub, no more PowerShell – just choose some colors, type in your admin password, and some minutes later, you have a custom PnP StarterKit site collection deployed in your tenant! Great for demos with customers. The automatic demo provisioning website will be available “soon”. 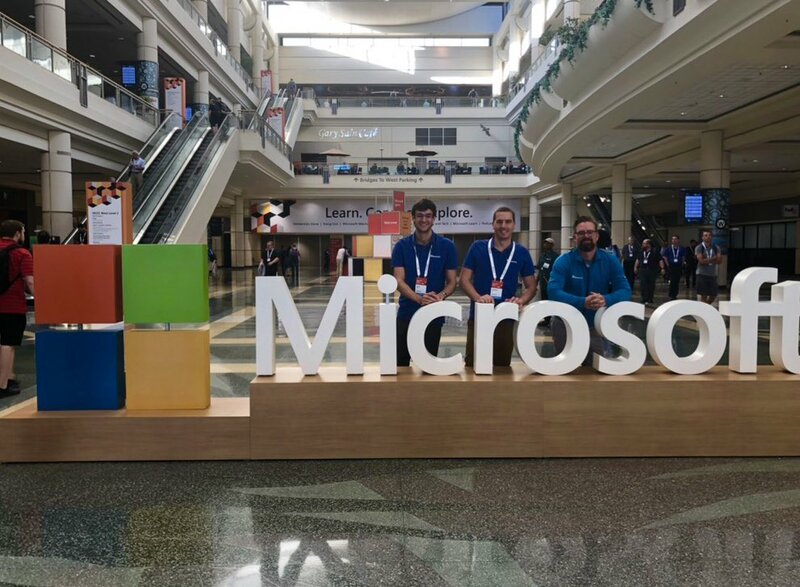 Whether you’re new to the “Microsoft World” or an experienced expert in your subject, Microsoft Ignite is always worth a trip in my opinion. There’s just so much to see and do – interesting sessions (in all areas you can imagine), exciting announcements, so much networking with your peers – and not to forget the party, this year at Universal Studios Florida ™ theme parks!